Claire D’Andrea, RN, CHTP, NC-BC, CCRC has over 43 years of nursing experience encompassing Integrative and Holistic Medicine, Intensive Care, Research, Maternal Child Health and Home Health. She earned certifications as an Integrative Nurse Coach from The International Nurse Coach Association, Certified Healing Touch Practitioner from Healing Beyond Borders, and Clinical Research Coordinator from The Association of Clinical Research Professionals. She is HeartMath trained though the HeartMath Institute. 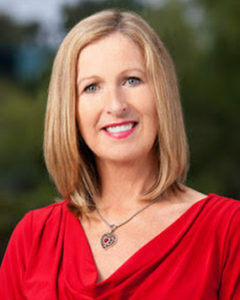 Claire is a member of The International Nurse Coach Association, The Holistic Nurses Association, Healing Beyond Borders, The Association of Clinical Research Professionals and the Preventative Cardiology Nurses Association. Claire’s educational background and years of diverse clinical nursing experience has led to a gratifying career in health care. Believing that health is more than the absence of disease, her passion is helping people explore the many facets of healing and the intricate connection of the mind, body and spirit in achieving a state of well-being and health. Claire volunteers with two notable organizations. She is a Board Member of Miraglo Foundation and serves as Secretary. She also volunteers her time to support women living with heart disease for WomenHeart, a nonprofit with the mission to improve the health and quality of life of women living with or at risk of heart disease and advocate for their benefit. She has been a spokesperson for WomenHeart since 2004 and has presented at many community events and for the California Society for Cardiac Rehab. Each year she leads Stress Management workshops at the WomenHeart Science and Leadership Symposium at the Mayo Clinic in Rochester, Minnesota. She has been a member of the WomenHeart Board of Directors since 2012, and also served a term as Vice Chair of the Board.